The Rincon Beach Club is a private venue located in the seaside community of Carpinteria just south of Santa Barbara. It is a Full Service and all inclusive facility, which is perfect for the couple looking to have all their needs met under one roof! 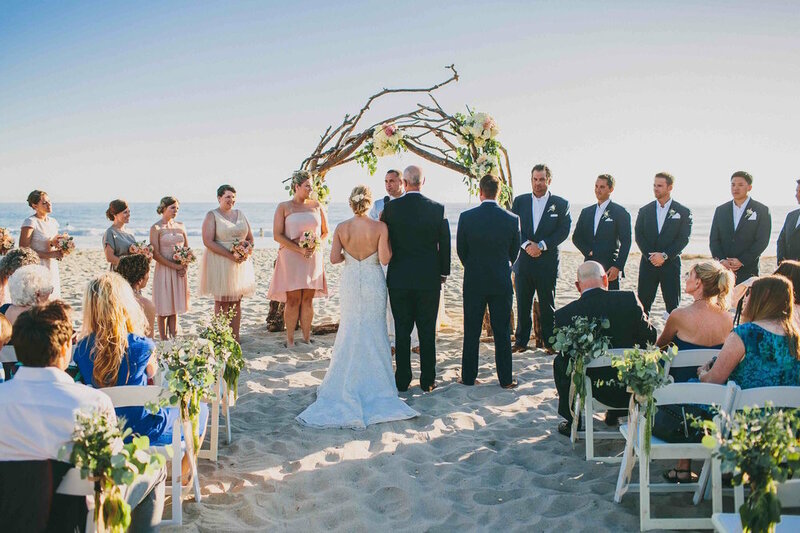 The seaside location offers beach ceremonies steps away from the location, or a garden ceremony in their Private Rincon Beach Club Garden. This is a ceremony and reception venue. Areas available for rental: The indoor dining area as well as outdoor courtyard are inclusive for your event. Music: Yes, amplified music is allowed. No curfew. Please have approved in advance and completely removed at breakdown. Additional decor available for rent from the venue. All decor must be approved from the location. Refunds will exclude expenses incurred on behalf of the client. Rincon Beach Club must approve all vendors.